In-line lead-free brass swing check valve with 3/4" female sweat (solder) connections. For installing on copper pipe using standard copper soldering method. Arrow on the valve body shows direction of the flow. 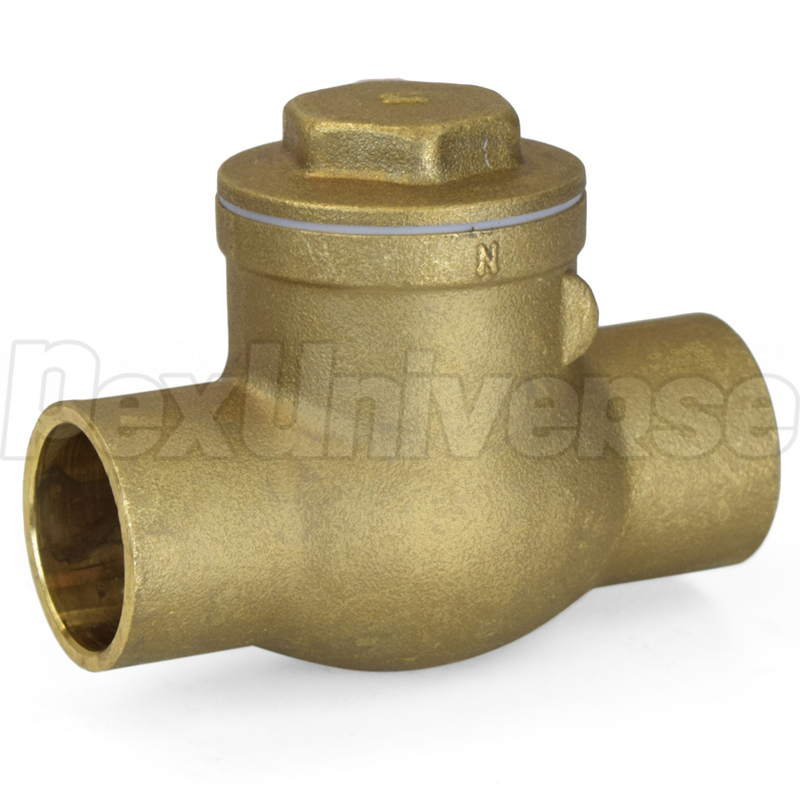 Suitable for upright horizontal and vertical (arrow pointing upward) installations in plumbing and heating systems.